From the moment you pick it up, you'll know it's a classic. The MacArthur Study Bible is perfect for serious study. 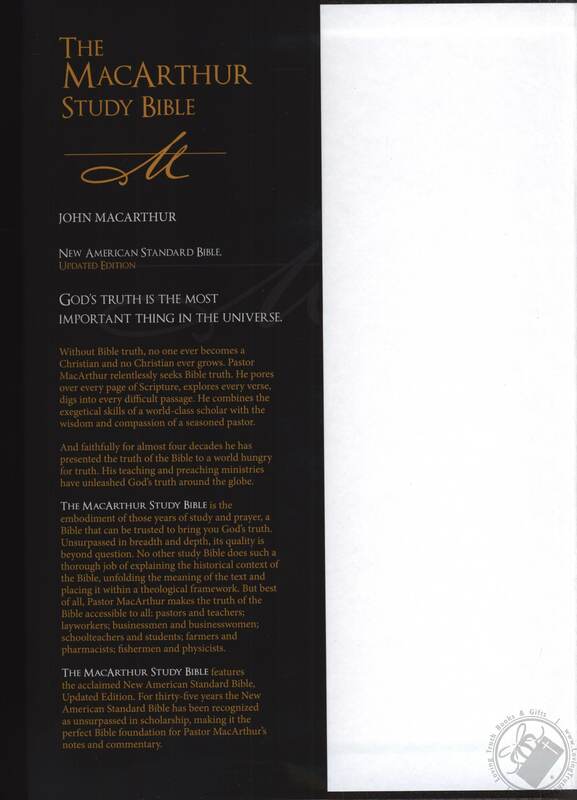 Dr. John MacArthur has collected his pastoral and scholarly work of more than 35 years to create the most comprehensive study Bible available. 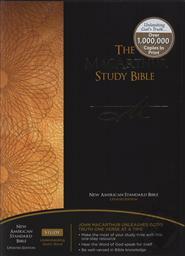 No other study Bible does such a thorough job of explaining the historical context, unfolding the meaning of the text, and making it practical for your life. Widely known for his thorough, candid approach to teaching God's Word, John MacArthur is a popular author and conference speaker and has served as pastor-teacher of Grace Community Church in Sun Valley, California since 1969. John and his wife, Patricia, have four grown children and fifteen grandchildren. John's pulpit ministry has been extended around the globe through his media ministry, Grace to You, and its satellite offices in seven countries. 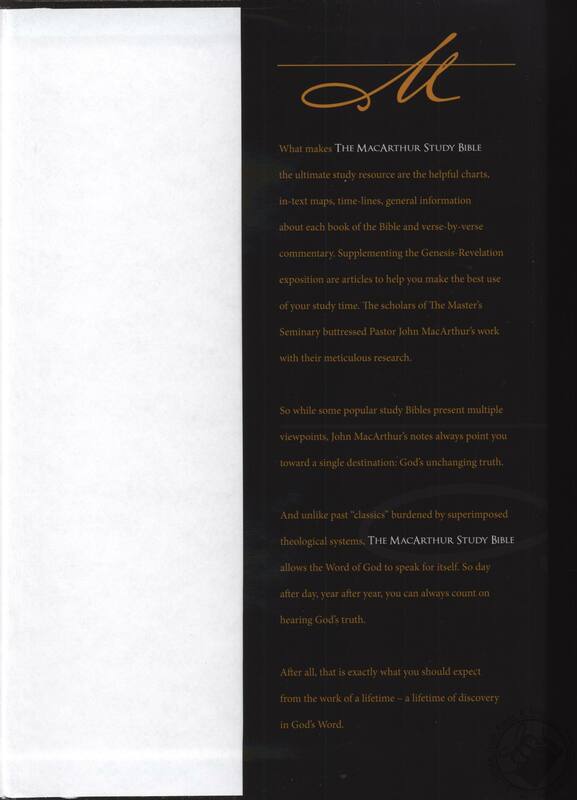 In addition to producing daily radio programs for nearly 2,000 English and Spanish radio outlets worldwide, Grace to You distributes books, software, and CDs by John MacArthur. John is president of The Master's College and Seminary and has written hundreds of books and study guides, each one biblical and practical. 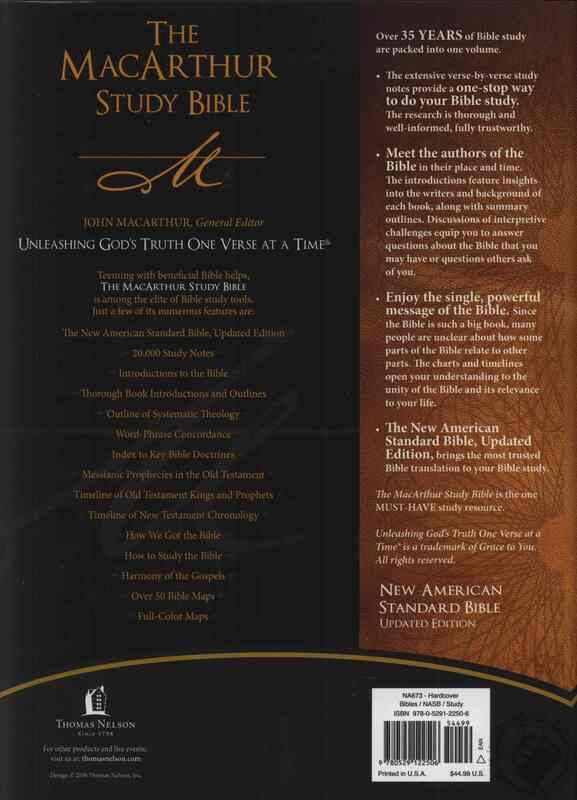 Best-selling titles include The Gospel According to Jesus, Truth War, The Murder of Jesus, Twelve Ordinary Men, Twelve Extraordinary Women, and The MacArthur Study Bible, a 1998 ECPA Gold Medallion recipient.